ViewSonic® Corporation, headquartered in Walnut, California, is a leading global provider of computing, consumer electronics, and communications solutions. Founded in 1987, ViewSonic’s mission is to be the preferred global brand of visual solutions as we continue to focus on display-centric product offerings including LED monitors, tablets, projectors, digital signage displays, smartphones, and cloud computing solutions. 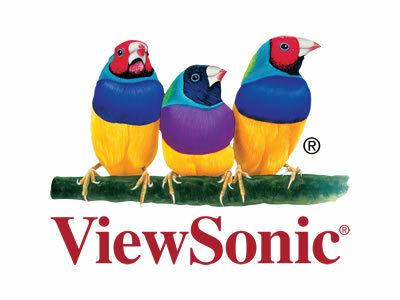 ViewSonic continues to pioneer in visual technology innovation to build a connected and ever-reaching digital future. ViewSonic makes the interactive technology affordable with its ViewBoard range of products. ViewBoard touch displays are designed to drive engagement, enhance collaboration and interactive learning in schools, colleges and universities around the world. The cutting-edge technologies help teachers and students connect like never before. ViewBoard sizes are 55″, 65″, 70″, 84″ to suit most requirements and include free annotation software for immediate use. The 10 or 20-point touch-enabled displays-whereby up to twenty users can simultaneously interact on the display’s surface-are ideal for group interaction and collaborative learning. With an in-built 8GB dual-core processor, the displays include flexible and intuitive software applications as standard. ViewBoard 2.1 software (Windows compatible) provides the perfect platform for a multi-media learning experience and enables users to write, highlight, edit, and transform documents and images in real time. In addition, screen recording means lessons or presentations can easily be shared with other educators or students. Viewsonic’s exclusive ViewSplit software boosts productivity by allowing users to divide their screen into different task windows and work on multiple applications. The displays-which include 84″ Ultra HD 4K resolution display -are wirelessly compatible with modern devices and also accommodate a plug-and-play experience, providing students and employees the opportunity to instantly save and share content to Google Drive. The ViewBoard displays are the perfect tool for showcasing important information and supporting effective teamwork. Combined with a quick and easy installation, the ViewBoard interactive panels allow education establishments to ensure they have an effective, affordable tool to help bring lessons to life. ViewSonic announced the inclusion of Intel® Smart Display Module (Intel® SDM) into the Interactive Flat Panels lines.